Steps taken, as recorded by a Jawbone Up: 98,610 steps, adding up to 51.64 miles. This includes mileage at home Friday morning but leaves out my walk to the bus that took me to the airport Wednesday morning. Tweets sent while in Austin: 178, excluding retweets of other people’s thoughts but including tweets about non-SXSW news. Data usage on my phone from March 8 through March 13: 739 MB, 192 MB of which came from tethering my laptop to my phone. SXSW sessions attended, or in one case watched from an overflow room: 11. Sadly enough, this is considered a pretty good showing in some circles. There are least as many that I seriously regret missing. Business cards collected: 33. Yup, still waiting to see some app make this printed product obsolete. Business cards handed out: not enough to exhaust my supply, fortunately. 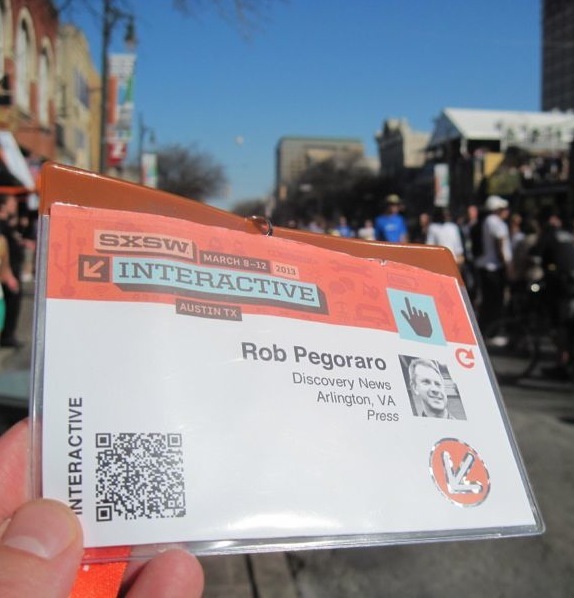 This entry was posted in Events, Social media, Work and tagged Austin, food trucks, Foursquare, Jawbone Up, networking, south by southwest, sxsw, TX by robpegoraro. Bookmark the permalink.